The Cult‘s Billy Duffy landed on the cover of July’s Vintage Guitar, in which he talks about his trusty Gretsch White Falcon and his band’s upcoming album, Choice of Weapon. Duffy reminisced about the first Gretsch he ever owned, a double-cutaway stereo 1970’s White Falcon that he no longer has. 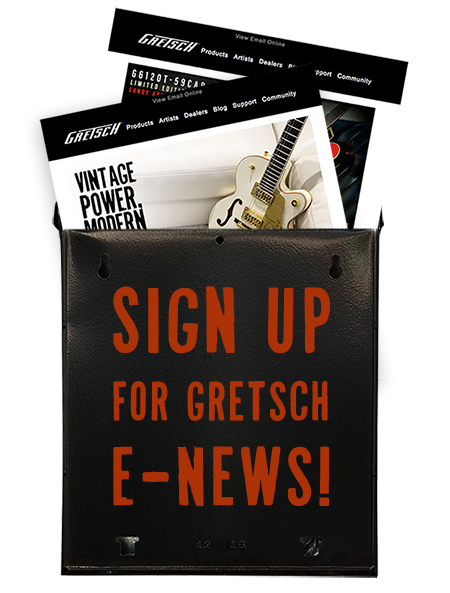 Duffy also confirmed that he is working with Gretsch on a signature White Falcon. “They forensically analyzed my guitar – the ’70s Falcon I used on “She Sells Sanctuary,” with all its battle scars and whatnot, and they’re going to make something based on it,” he noted. To read the full interview, pick up your copy of Vintage Guitar here, and visit The Cult’s official website for more information.